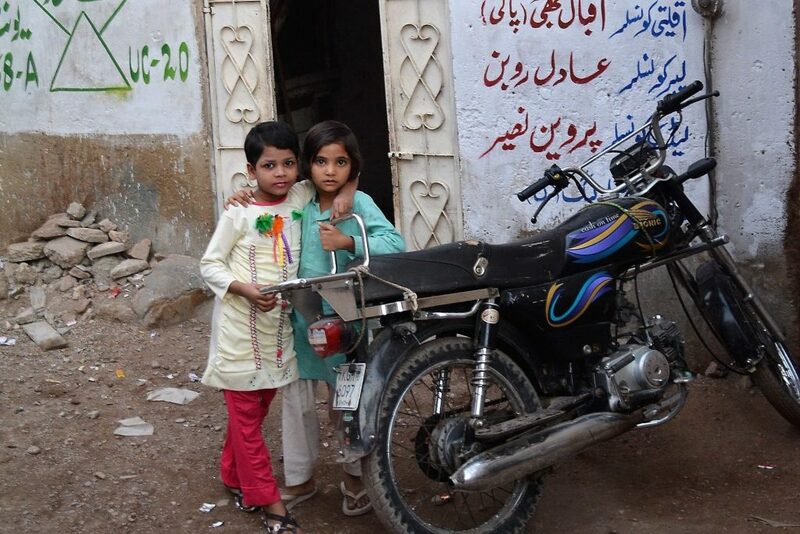 Oppression is a daily reality for Christians in Pakistan. Many Christians are denied access to healthcare, education and have limited job prospects. In the largely Islamic country, the faithful minority are often put under pressure to abandon the faith. 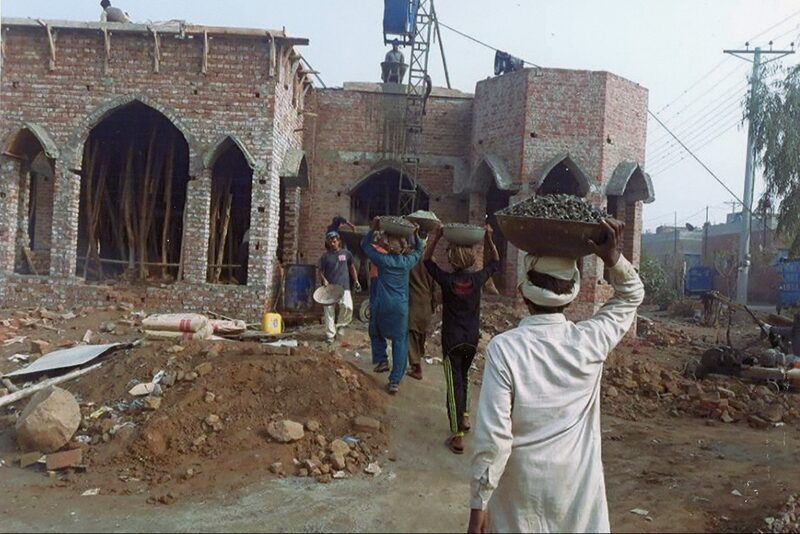 Aid to the Church in Need urgently needs your help to support the faith in Pakistan. Our brothers and sisters in Pakistan are counting on our compassion to continue support the Pakistani Faithful. The fateful drink of water that Asia took came in a break during a heavy working day picking berries, close to her home in Sheikhupura in the Punjab province. Asia’s fellow-workers were furious with her for using a cup that they too used. They made accusations against her and stated that, as a Christian, she had defiled the vessel by drinking out of it. When Asia spoke up for her Christian faith, the response of her co-workers was to accuse her of blasphemy. She was arrested and in November 2010 sentenced to death. In July 2015 the Supreme Court of Pakistan suspended her death sentence pending an appeal. The court adjourned the appeal in October 2016 when one of the justices withdrew, citing legal involvement with a related case. At the time of writing, Asia is still waiting for the court to reschedule a final appeal hearing. Appealing for clemency to be shown, Pope Benedict XVI declared his “spiritual closeness” with Asia and, to this day, people the world over continue to call for her release from jail. Thanks to you, Aid to the Church in Need is helping Christians on death row in Pakistan and others accused of crimes they did not commit . Amid growing extremism, Christians are often victimised, with trumped-up charges brought against them. ACN helps the Catholic Commission for Justice and Peace (CCJP), which is campaigning for a moratorium on the death penalty – the sentence Christian mother-of-five Asia Bibi received for the crime of blasphemy. The CCJP provides legal aid for Christians charged with other offences and who have nobody to help them. Highlighting increased radicalism, CCJP national director Father Emmanuel Yousaf told ACN: “The level of hatred and bias towards the Christian community has been exposed.” With ACN’s help, the CCJP is supporting 17 people jailed following a 2015 riot sparked by an extremist attack on two churches near Lahore. When churches are attacked in Pakistan by extremists or are damaged in suspicious circumstances, distressed faith communities know they can turn to ACN for help. For isolated and poverty-stricken Christian groups, rebuilding a church quickly sends out a much-needed signal that they are not going to be forced out by acts of intimidation and violence. In Muzaffarabad, in Pakistan’s northerly Kashmir district, St Thomas’s Church was burnt to ashes in an “unfortunate incident”. The parish’s poor families cannot possibly afford to rebuild the church and so ACN has offered to help. Archbishop Joseph Arshad said: “A rapid response will help us rebuild the church and uphold the life of the community. 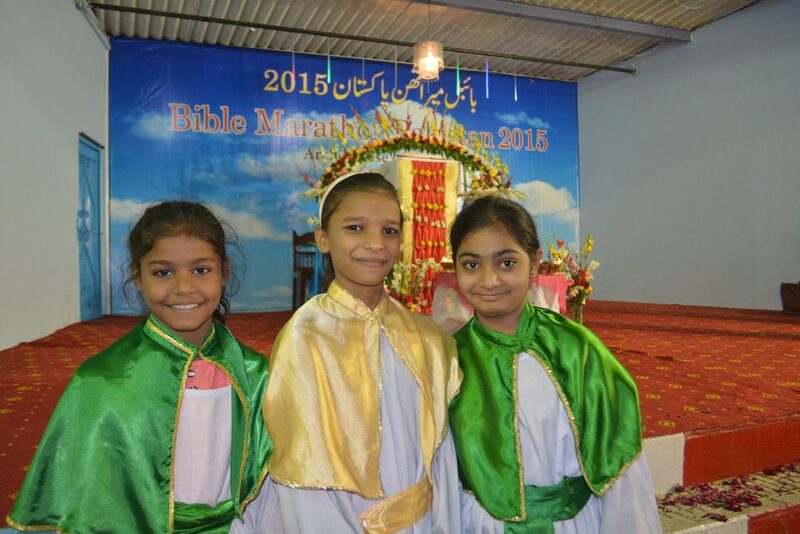 For young Christians in Pakistan, ACN’s Child’s Bible is a treasured gift that introduces them to the wonder of the Scriptures and the sacred role God plays in all our lives. So popular is the little 128-page book that another 80,000 are needed in Pakistan’s main language, Urdu. In a country with low literacy levels, especially among Christians and other minorities, the Child’s Bible is also a crucial learning tool for families who cannot afford a decent education for their children.